London Symphony to Play S.B. Bowl. Michael Tilson Thomas (not pictured) will conduct the London Symphony Orchestra in a concert featuring soloist James Ehnes, who will play Beethovenâ€™s Violin Concerto. The LSO will also appear on Sunday, July 14, at the Santa Barbara Bowl for a community concert with tickets available for just $10. For sheer scope of ambition, few annual music events anywhere can rival the programming presented by the Music Academy of the West (MAW). Blending multiple aspects of musical practice from every discipline into a seamless whole, the academy effectively functions as a combination symphony orchestra, opera company, recital series, and top-flight competition in one, with all of its events oriented toward educating not just the fellows but the audiences as well. It adds up to an idealized image of the entire musical world, and it becomes more accessible with every iteration. This seasonâ€™s orchestral offerings are distinguished by an all-star lineup of eminent and emerging conductors. MAW favorite Larry Rachleff returns in his customary opening slot to lead the Festival Orchestra in Beethovenâ€™s Symphony No. 3 on June 22 and the Symphony No. 11 of Shostakovich on June 29. All orchestral concerts will take place at The Granada Theatre unless otherwise noted. Rising star and 2020 Ojai Music Festival Music Director designate Matthias Pintscher comes in for a program of Viennese connections on July 6. The London Symphony Orchestra (LSO) kicks off an exciting week of concerts on Friday, July 12, with Elim Chan leading a concert for young people aged 7-12 thatâ€™s based on the â€œgolden recordâ€ that was placed on board the space probe Voyager. Using a blend of film and audience participation, this program is designed to allow families to share in both the legacy of great music and the thrill of space exploration. The next night, maestro Michael Tilson Thomas takes the podium for a concert featuring the LSO and soloist James Ehnes, who will play Beethovenâ€™s Violin Concerto. To cap this extraordinary three-concert run, on Sunday, July 14, the LSO will appear at the Santa Barbara Bowl for a Community Concert with thousands of tickets available for just $10 each. The Pulitzer Prizeâ€“winning composer Jennifer Higdon is one of the brightest lights on the contemporary music scene. Her opera Cold Mountain, which is based on Charles Frazierâ€™s best-selling novel, gets its West Coast premiere August 2 and 4 at the Granada. Daniela Candillari will conduct and James Darrah will direct what is certain to be a highlight not only of the MAW season but of the 2019 operatic calendar worldwide. The Academyâ€™s Mosher guest artist roster has never been stronger. MAW alum and breakout Metropolitan Opera star Isabel Leonard heads a list that includes bassist Edgar Meyer, flutist Claire Chase, and pianist Pierre-Laurent Aimard. 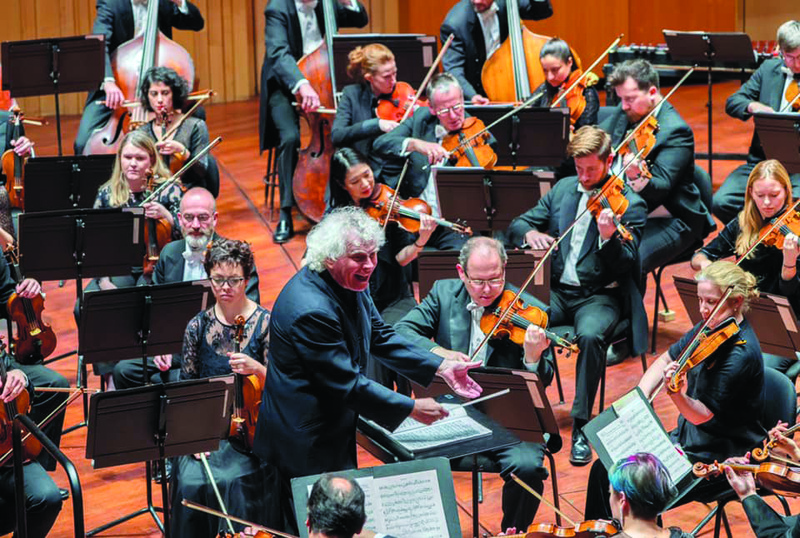 Opera fans will rejoice over an evening devoted to musical settings of Shakespeare, and for those who relish the thrill of competition, there is a new duo category to complement the existing concerto, vocal, and piano contests. Nothing means more to the Music Academy than the dedication of its distinguished faculty. In addition to a brilliant series of faculty concerts on Tuesdays at the Lobero throughout the season, there will be a special gala tribute to longtime faculty member Jerome Lowenthal on opening night, June 14. Two alumni, Evan Shinners and Orion Weiss, will be joined by legendary new music proponent Ursula Oppens for a program celebrating this beloved mentorâ€™s immeasurable impact. Look for Lowenthal to arrive dressed to impress in one of his signature shirts. If you canâ€™t make the gala, donâ€™t despair â€” there will be a Pianofest the following week thatâ€™s also devoted to recognizing Lowenthal’s extraordinary half century of service to the MAW. That same first full opening week features a recital by the acclaimed TakÃ¡cs String Quartet. For a full schedule and the opportunity to purchase tickets, see musicacademy.org.